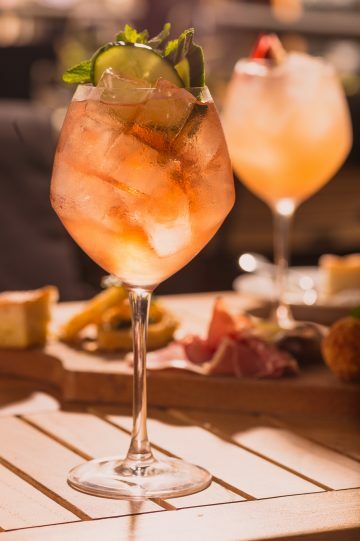 The Aperi-Tea is the harmonious union of the traditional English tea time and Italian Aperitivo, the result is a refreshing Spritz with a delicate flavor of tea. Method: Brew the Earl Grey tea for double the box’s stated brew time and add on three minutes, then leave to cool. When the tea is cold, add all ingredients (without the tonic) to a wine glass and stir together. Add ice up to the rim of the glass and top up with the tonic water.